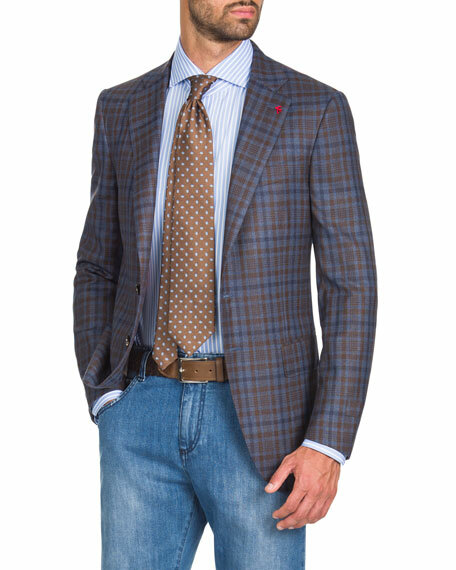 Isaia sport coat in two-tone check. Canali blazer in brushed, textural sprezzatura weave. Notched lapel; two-button front. 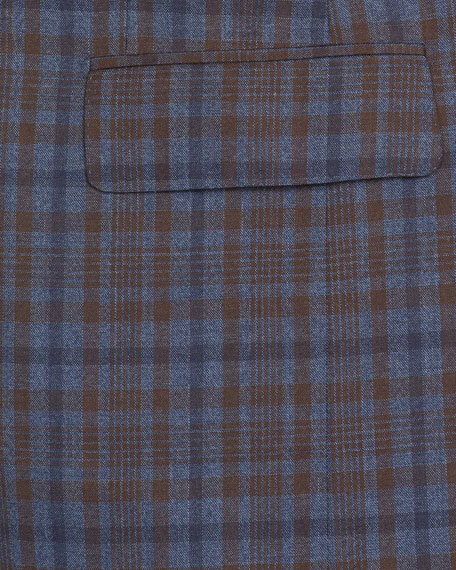 Side patch pockets; chest welt pocket. Basted sleeves. Double-vented back. Wool/silk/linen. Made in Italy. Model's measurements: Height, 6'1"/185cm, Suit 40L, Shirt 15 x 35, Waist 32"/81cm, Inseam 34"/86cm. Ermenegildo Zegna blazer in cashmere-silk blend. Notched lapels; two-button front. Finished sleeves. Chest welt pocket. Patch pockets at hips. Double-vented back. Made in Hungary. Model's measurements: Height, 6'2"/188cm, Suit 40L, Shirt 14.5x35, Waist 32"/81cm, Inseam 33"/84cm. 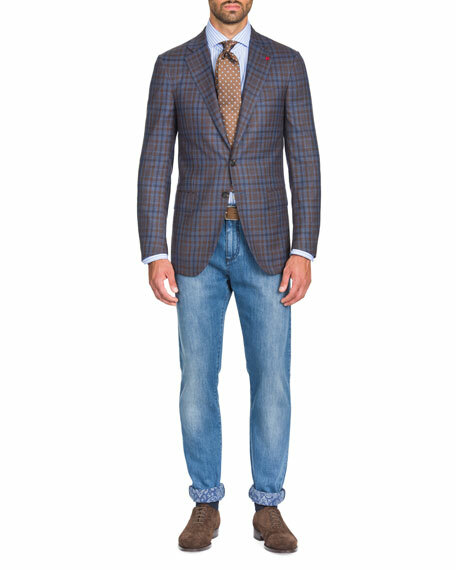 Ermenegildo Zegna blazer in tic-pattern weave. Notched lapel; two-button front. Basted sleeves. Welt pocket at chest. Welt pockets at sides. 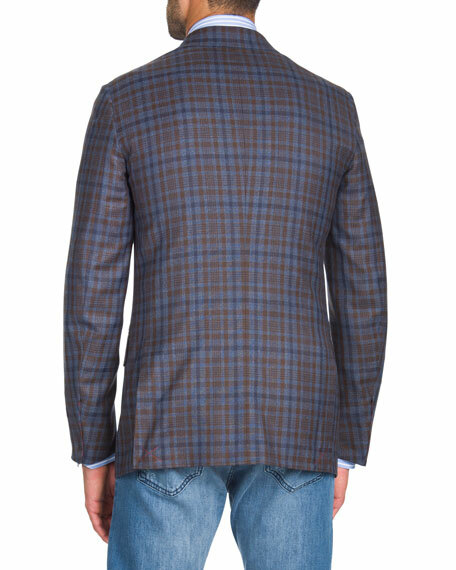 Ermenegildo Zegna blazer in tic-pattern weave. Notched lapel; two-button front. Basted sleeves. Welt pocket at chest. Welt pockets at sides. Double-vented back. Alpaca/cotton/nylon. Made in Turkey. Model's measurements: Height, 6'1"/185cm, Suit 40L, Shirt 15 x 35, Waist 32"/81cm, Inseam 34"/86cm.